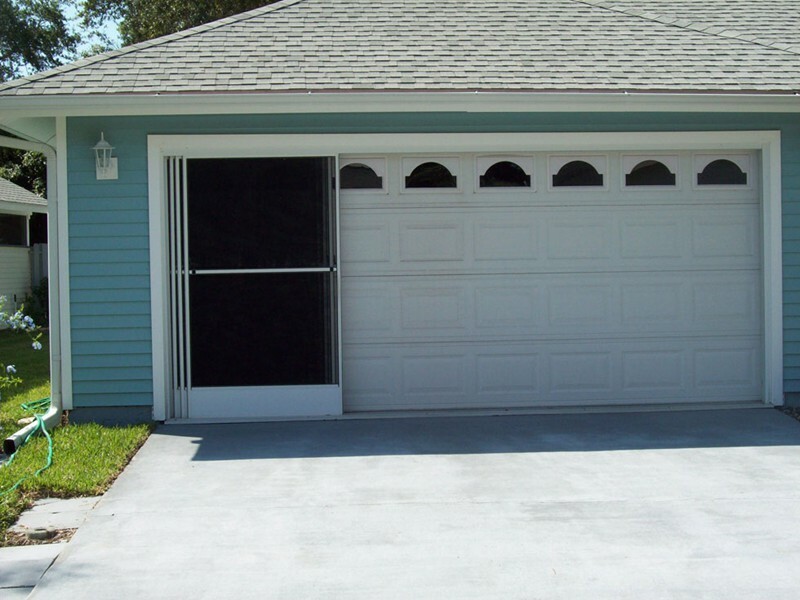 screens are made to fit your garage door size and type. 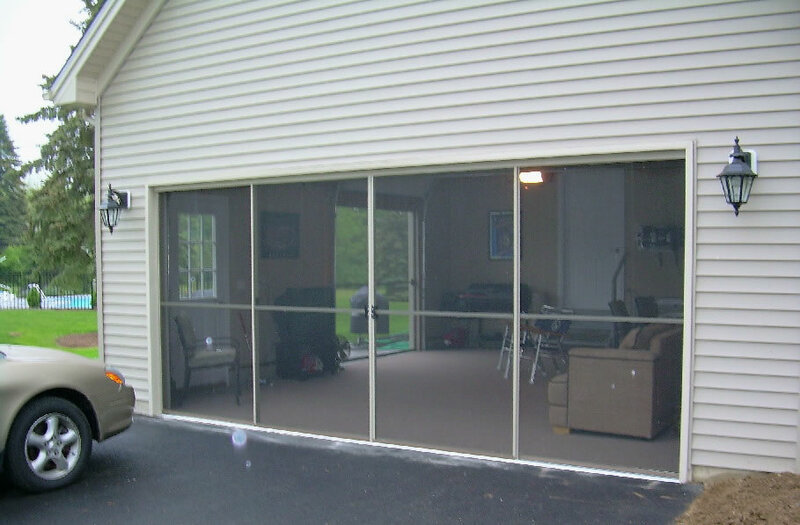 These sliding garage screen doors are built to give you many years of pleasure. They feature removable sliding screens, kickplate and durable fiberglass screens. Metal locks are standard, and stainless steel screws provide long-lasting durability. The exclusive 1 inch neoprene rollers assure easy operation, reducing snag and drag.